NEBA provides a well-documented and simple set of annotations to map JCR Resources to POJOs. Developed for high demand scenarios, NEBA features impeccable performance and ships with the right tools to keep your Sling or AEM™ deployment fast. Create models for resources using just a single annotation and enjoy NEBA's outstanding mapping performance. Available as a single CRX package or delivery OSGi bundle, NEBA is installed in seconds without the need for any additional configuration. NEBA is free and 100% open source, licensed under the Apache License. POJOs annotated with @ResourceModel represent specific resource types. Whenever a suitable resource is adapted to this model - or any of it's interfaces or super classes - the properties of the resource are automatically injected into the model. The resource model statistics console allows exploring the performance of resource models in real time, directly on the system. NEBA supports Lazy-Loading repository data, transparently and simple, to allow building high speed applications - regardless of the amount of repository content. The resource model registry allows exploring the registered models and their relation to the resource types to which they apply, as well as the types to which they can be adapted. 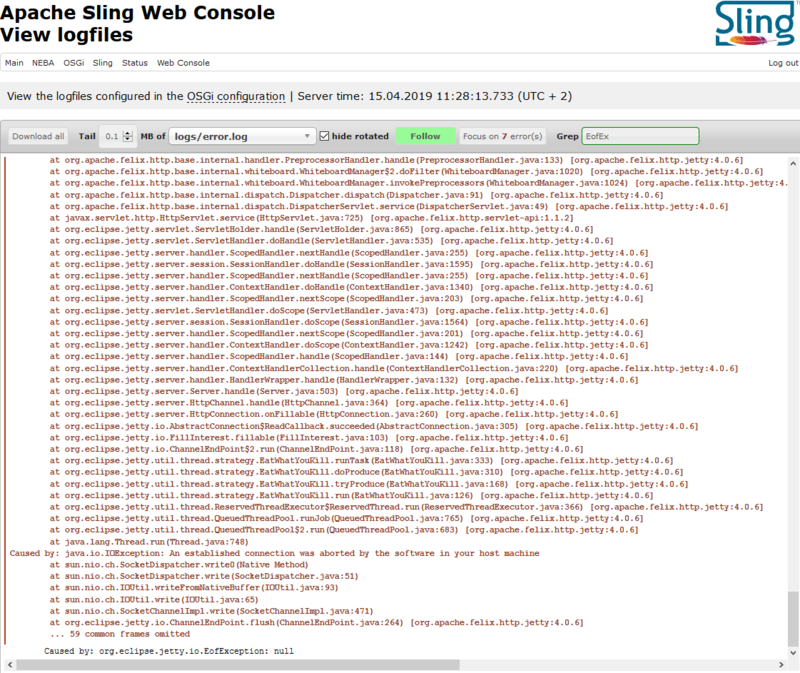 To let engineering analyze issues quickly, NEBA includes a Sling web console extension that allows viewing, tailing and downloading log files - including error detection. Serial access to the machine running your instance is not required - authenticated access to the system does suffice. The optional Spring integration supports all Spring MVC features - including first-class support for Sling specific request parameters such as the Resource resolver. For an in-depth documentation of the Spring MVC support, see how NEBA supports Spring MVC and Spring's MVC documentation.